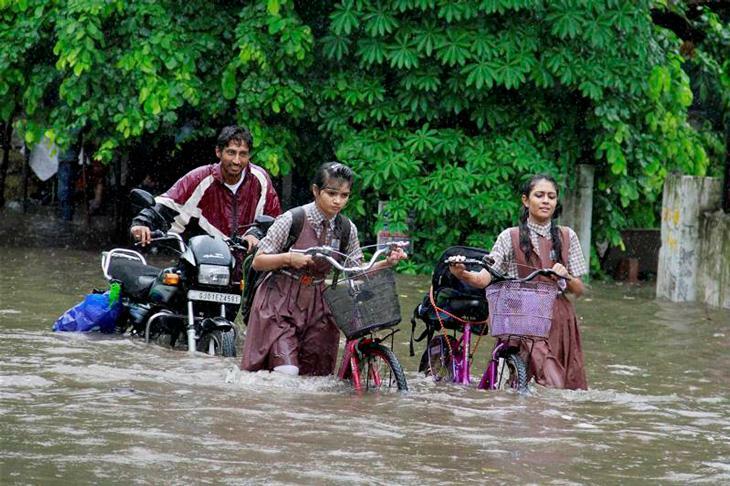 Three days of incessant rains and flash floods have caused havoc in Rajasthan and Gujarat. 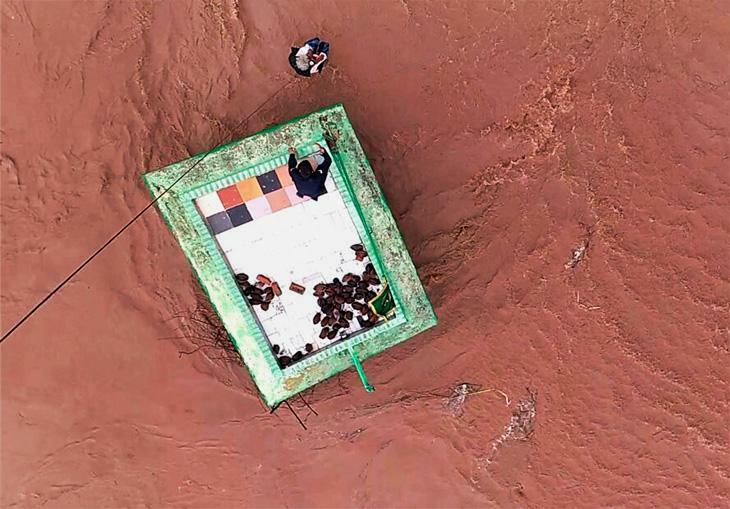 At least five people have died, and more than thousands have been left stranded. 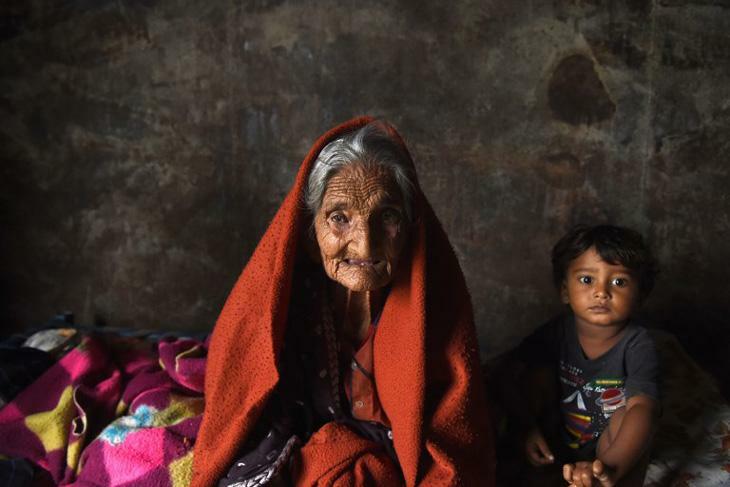 In Gujarat, some of the worst affected areas include Banaskantha, Patan, Rajkot, Surendranagar, Ahmedabad, Morbi, Gandhinagar, Kutch, Mehsana and Valsad. Meanwhile, Mount Abu, Sanchor and Jaloreare the worst-hit regions of Rajasthan. National highways and trains have been adversely affected in both the states. 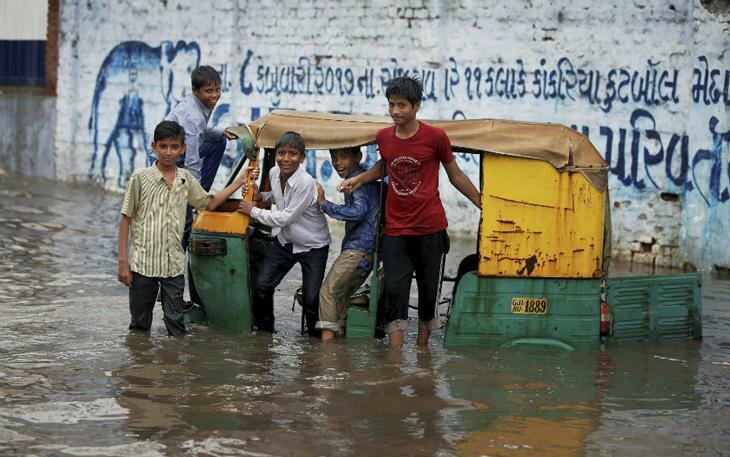 In fact, the Gujarat government has declared a state of high alert following the widespread flooding. 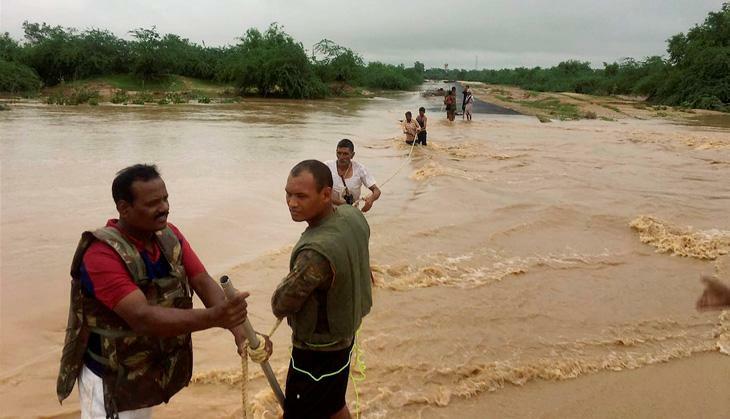 According to authorities, the overflowing of the Dantiwada and Sipu dams has worsened the situation. The National Disaster Response Force (NDRF) and the Indian Air Force have been called into action to aid the rescue efforts. As of now, more than 200 people have been rescued, while hundreds of others have been relocated to safer areas. 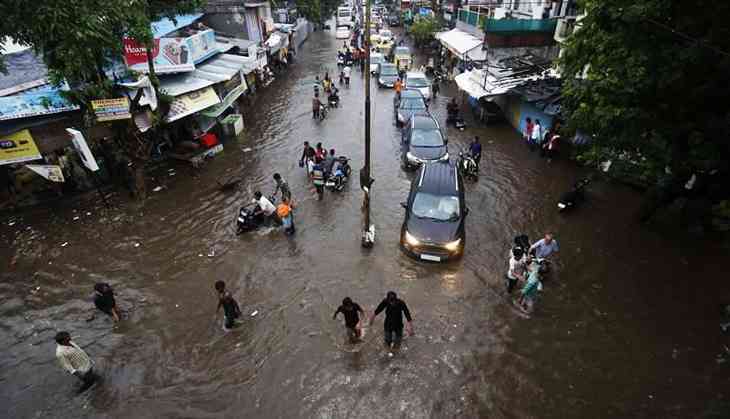 The Indian Meteorological Department has predicted heavy rainfall for the cities of Ahmedabad, Gandhinagar, Anand, Surat, Valsad, Dahod and Aravalli in the next 24 hours.